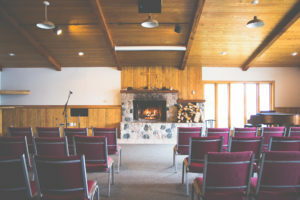 With capacity for 125 people, this chapel on Round Lake is ideal for a meeting or worship space. The room is equipped with a built-in sound system and projector for all of your A/V needs. The building’s large scenic windows and lakeside patio provide a secluded atmosphere that is rich in nature’s beauty. 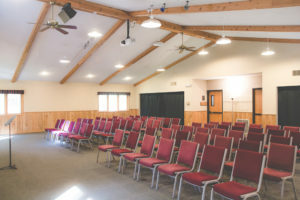 This space is located inside Bald Eagle Lodge and has a capacity of 150 people. The room is equipped with a built-in sound system and projector for all of your A/V needs at no extra cost. Because it’s inside of Bald Eagle Lodge, this is a perfect option for groups in winter. The South Side of our Dining Hall is a multi-purpose room. Sometimes it’s used for eating meals, and sometimes it’s used as a worship space. This room has a capacity of 200 and is fully equipped with a sound system and a projector. Our iconic Chapel is a beautiful worship space. 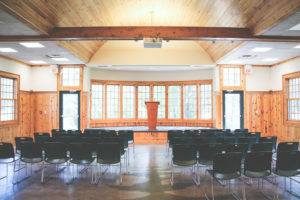 It’s a three season meeting space for 200 people on the shore of Round Lake. The Chapel has a full sound system, video projector, and stage. 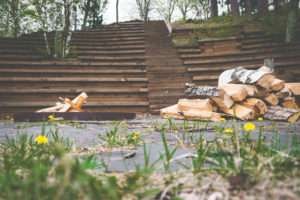 With space for 200 people, our amphitheater is a beautiful spot for outdoor worship. It overlooks Round Lake and faces West, making it ideal for sunsets. It also has a built-in campfire pit. 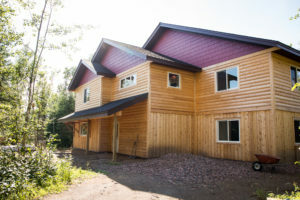 The lodge is the main building at Adventurous Christians. This is where we eat, hang out, sing songs, and play board games. 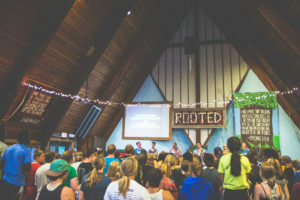 The living room area often is used for casual worship and sharing God’s word. 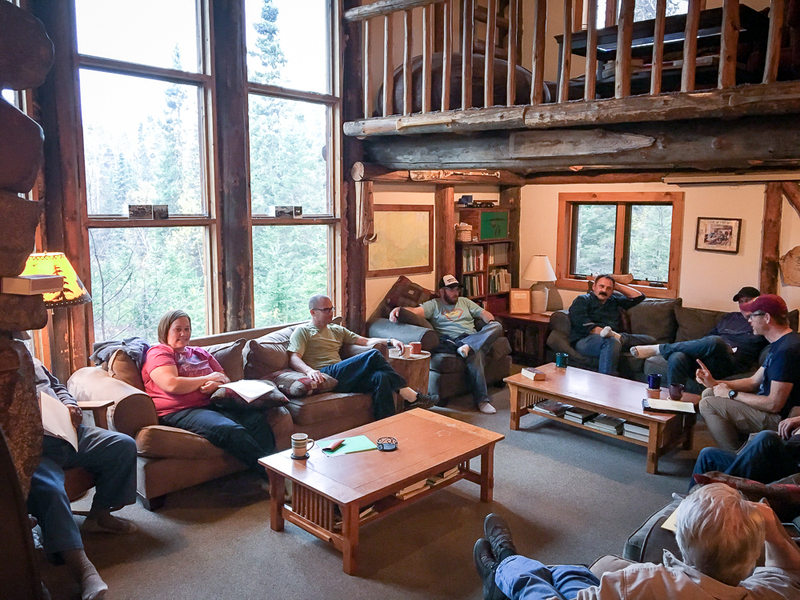 Like the Lodge, our new Retreat Building has a common space that groups use for casual times of acoustic worship and Bible study. This large and comfortable space could fit around 40 people. 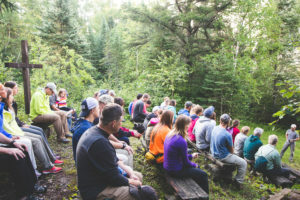 The outdoor Chapel at AC is just a short walk from our main Lodge. It overlooks Bow Lake and can seat around 50 people. It’s a great spot for outdoor worship, a message from God’s Word, or a moment of quiet.